His fans range from the age group of 6-80, a feat surpassed only by Bollywood personalities. Men, women, children,soon-to-be-married girls, housewives, professionals, mothers, mothers-in-law, grandmothers! 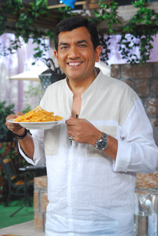 For a nation that loves to eat and cook, Sanjeev Kapoor is very close to its people’s hearts. He is the go-to chef for everything…party at home? What-to-make-today situation? So much paneer, what to do? One stop solution – log on to the internet or his channel and cook up SanjeevKapoor’s recipes! Not surprising then that he figured in the Reader’s Digest list of 100 of India’s Most Trusted people. And why not? Ask those billions of Indians out there and their answer will be unanimous, when it comes to the most known and trusted faces on TV, Chef extraordinaire Sanjeev Kapoor’s name tops the list! His easy demeanour, cheerful commentary and simple instructions make the most seemingly difficult dishes look easy to prepare. He has been awarded the prestigious Padma Shri Award 2017. His popularity and contribution to Indian cuisine has been recognized by the Government of India too, who conferred on him the National award of “Best Chef of India.” He is also on the panel of the Ministry of Tourism. He is on the board of Singapore Airlines International Culinary Panel along with the brightest names from the culinary world across the global culinary capitals. He divides his time in India and abroad by doing live food events and cooking demonstrations for which is he is always in great demand. In addition to his achievements on his homeground, he has won accolades and honours abroad too, not to mention the many firsts he has in his kitty. The first chef in the world to launch his own food channel FoodFood. His earlier food show KhanaKhazana ran for 18 years on a trot on ZEE channel, a record that is yet to be broken. Needless to say, the show also won the Best Cookery Show award from the Indian Television Academy (ITA) and Indian Telly Awards, year after year. He was on the panel of Judges for Master Chef India Season 3 and 4. He served as the Chief Judge and host for ‘Sanjeev Kapoor ke Kitchen Khiladi’ on Sony Entertainment Television. His life story featured on Star World as part of the exclusive series titled Achiever’s Club.He is also ranked 73rd in the Forbes list of top 100 Indian celebrities.He has also cooked for many dignitaries, including the Honourable Prime Minister Shri Narendra Modi. Often dubbed the Rachel Ray of India, he has featured twice on American TV with her. United Nations (UN) chose him as the Indian Ambassador for their Clean Cookstoves Campaign which was aimed at the underprivileged in developing countries. Under the Spanish government’s Indian Future Leaders Programme (IFLP) he represented India as a Food Ambassador. Another feather in his already colourful cap is the very interesting CNN project in Copenhagen, Denmark in November 2011. He worked along with Chef Rene Redzepi, owner of the number one restaurant in the world, Noma. Noma is known for its reinvention and reinterpretation of Nordic cuisine and ‘soul food.’ Sanjeev also represented India in 2012 in the World Association of Chefs Societies (WACS) at Daejon, South Korea and initiated the ancient ways of Ayurvedic cooking to the world of chefs. His food label (KhanaKhazana) was launched at the House of Commons in the UK by Mr Fabian Hamilton, MP, North East Leeds, Yorkshire. The event had the who’s who of UK present. Sanjeev Kapoor was one of the chief speakers/presenters at the Worlds of Flavour, International conference and festival organized by the Culinary Institute of America at Graystone, California. The most sought after recipe books undoubtedly come from Sanjeev Kapoor’s stable. His books are bestsellers with more than 200 titles in 7 languages. The latest is ‘100 Mouthwatering Dishes.’ His book meant for an international audience, ‘How To Cook Indian,’ printed and published in US and later in UK was launched in April 2011 to an overwhelming response and encouraging press. His ‘The Yellow Chilli Cookbook’ was awarded the Best International Cookbook at the 2012 International Book Awards and his book on chocolates ‘aah! Chocolate’ got the Gourmand Best Cookbook Photography award at the Gourmand World Cookbook Awards 2013 and the Best in the World award in the Gourmand World Cookbook Awards 2014 in Beijing. Under the brand name Sanjeev Kapoor’s KhanaKhazana, a wide range of food products, like pickles, blended masalas, gourmet chutneys and 123 ready-to-eat mixes have found takers in India and abroad. Today, he is in demand for many brands as a brand ambassador for their products. Currently he is endorsing brands like Ariel, Dettol, Zydus Cadila’s Sugar Free, Al Baker atta, Daawat Basmati Rice, Tata i-Shakti Dals and Sleek Kitchen. As a restaurateur he has granted his franchise to a number of restaurants both in India and abroad. Khazana and The Yellow Chilli are popular names today and now with his company SKR (Sanjeev Kapoor Restaurants) he is extending these brands by adding Signature, Sura Vie, Hong Kong and many more brands under different categories. www.sanjeevkapoor.com is Sanjeev Kapoor’s portal which is a complete cookery manual with a compendium of more than 15,000 tried and tested recipes and a wealth of food related information. Not only is it popular amongst Indians but amongst NRIs as well. 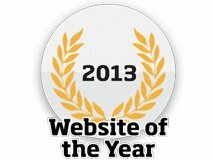 It has 2 lac registered users, with page views of 10 million per month in the age group of 20-60 years. It has been awarded the title of the ‘Most Popular Website’ in the Website of the Year 2013 awards and ‘Best Website of the Year’ in 2014 and 2016. A fan page on Facebook started in 2009 has over 4.6 million fans and growing. It has around 1 lacinteractions per week. Another popular initiative is sanjeevkapoorkhazana, a channel on YouTube; it has over 1 million subscribers and nearly 375 million video views. 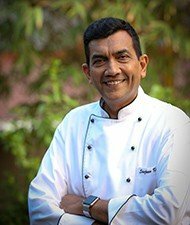 His blog post chefsanjeevkapoor.blogspot.in provides a glimpse into his life and thoughts alongwith useful insights on the culinary world. His twitter handle@sanjeevkapoor is one of the most sought after food handles. Sanjeev Kapoor’s brand Wonderchef is a huge success and the cherry on the sweet cake of success is the fact that it empowers many women, especially in the North East part of the country.  The business model of the business is such that it enables women to become financially independent. Sanjeev also works closely with autistic children and helps the cause by supporting NGO “Forum for Autism” for over 12 years. Under Corporate Social Responsibility he has taken on himself the challenge of improving/feeding school meals to children in remote villages and children from economically weak families. Brand Sanjeev Kapoor in collaboration with the HRD ministry will also be responsible to structure and design a special menu exclusively for the students of all the 598 Jawahar Navodaya Vidyalayas (JNV) across the country. To develop qualified skills in his chosen field, he has started a college in collaboration with Symbiosis University by the name of Symbiosis School of Culinary Arts offering 3 year full time BSc degree in Culinary Arts.